Welcome to Creative Wellbeing Workshops. We are experts in helping individuals and organizations who are experiencing high levels of stress. We use creativity and art to help them cope more effectively with stress, avoid burnout, and improve the quality of their lives. We combine cutting edge strategies from the field of positive psychology, the “science of well-being,” with over 20 years of experience helping people flourish through the creative process. Although most people report being generally satisfied with their lives, they would also like to experience more enjoyment, engagement and meaning. They want to feel more satisfied and fulfilled but the means to do so often seem elusive. At work, many people experience fatigue, disengagement, and low motivation. Employers struggle with the resulting problems: chronic absenteeism, poor job performance, low morale, and high turnover. State of the art research into well-being reveals that happiness can actually be increased and that doing so has measurable impact on health, productivity and wellbeing. We integrate these exciting new findings with dynamic arts-based interventions that help deepen and enrich the experience. Individuals wanting to feel less anxiety and stress, to feel happier, more engaged, more creative, and more fulfilled in their personal and professional lives. Organizations and employers who hope to foster greater job satisfaction, higher productivity, and reduced stress and burnout in their employees. Mental health practitioners who want to re-energize their practice by incorporating state of the art research into creativity and wellbeing into their work. Our mission is to help people increase their personal and professional well-being through collaboration and creativity. In other words, we want you to feel better–creative, energetic and engaged, motivated, grateful and … happier! Creative Wellbeing Workshops, LLC has been approved by the National Board for Certified Counselors (NBCC) as an Approved Continuing Education Provider (#6566). Programs that do not qualify for NBCC credit are clearly identified. Creative Wellbeing Workshops is solely responsible for all aspects of those programs. "Rebecca and Gioia’s programs are eagerly anticipated by our participants. They are extremely popular and well-attended. There is often a waiting list and many of our participants return again and again for their programs." "At first we were cautious about the introduction of art in the workshops because we did not want to put off the participants, but Gioia and Rebecca skillfully wove the art experientials in a way that was inviting to the audience. As it turns out the main comments that we heard was that the art made them enjoy the workshop more and they were surprised at how the art was a really useful tool in grasping the material." "At the GAO, we are trying to get a more linear audience to explore psychological or emotional aspects of themselves for the purpose of having more balance in their work and professional lives. 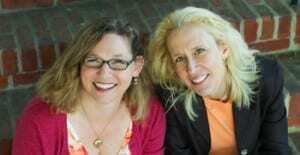 Gioia and Rebecca accomplish this from the minute that they walk into the room not just because the material they are presenting is so relevant but because they have an air about them that is fundamentally engaging and relevant." "Rebecca and Gioia are deeply committed to their work, compassionate and dynamic presenters, and very professional in all of their dealings"